You may laugh out at the title of the post - but Yak with hits heavy hanging coat is just like a cow with a skirt to protect herself form the harsh winters where this huge and majestic animal belongs to. Yak, which is closely related to the African buffalo, the American bison, and the European bison, is found on the rooftop of the world - an area spread from Tibet, Nepal, India Pakistan's northern areas, Xinjiang region of China and Wakhan corridor of Afghanistan, where snow governs the mountains almost the year round. With temperatures generally ranging in the sub-zero bracket, no animal can survive the rigors of the weather and harshness of the terrain but Yaks. 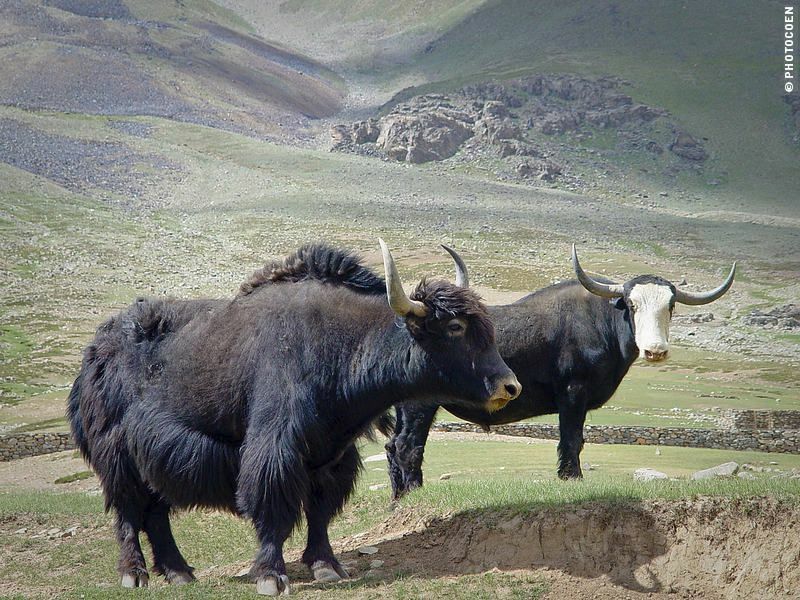 Living on altitude between 4,000 and 6,000 meters (13,000 to 19,600 ft), Yak is considered an endangered species. In Pakistan, yaks are found in the Himalayan and Karakoram mountain ranges. Their large herds are found in the Shimshal valley in the Khunjrab National Park, an area northeast of Gilgit bordering China. Beside these are found in Passu, Nagir and Baltistan. Yaks are also found in the Broghil Valley, Chitral. 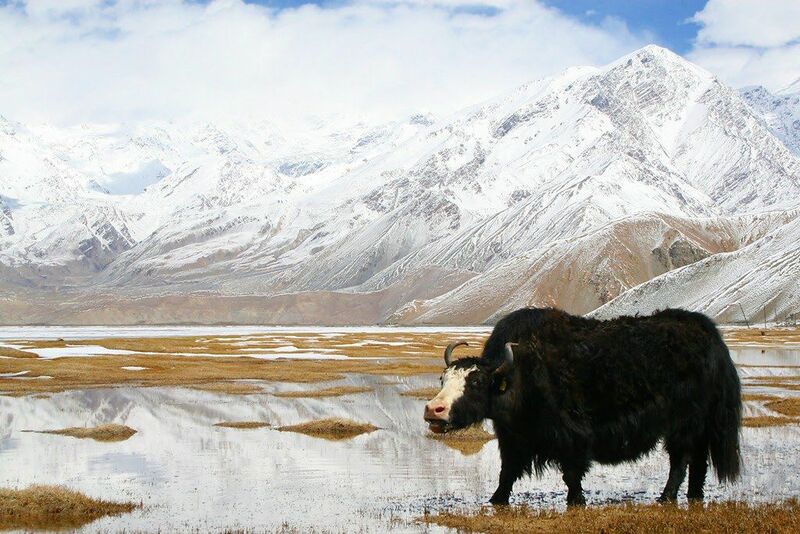 Shimshal is ideal breeding ground of the yaks as it is located at an altitude of 3, 108 metres. 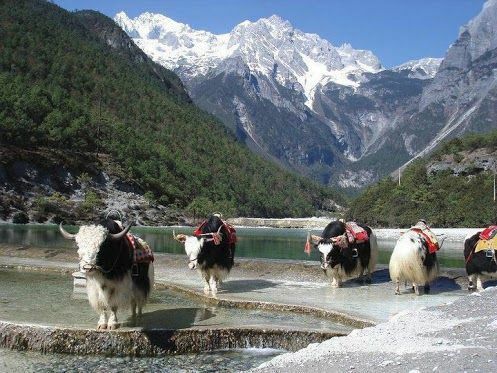 Yak is an excellent beast of burden and transportation in the snow frozen areas - it is its capacity to live in these hostile sub zero environment that Chinese historians argue that without yaks, human civilization would not have survived in the remote mountainous regions on the world's rooftop. Beside being called Cow in the Skirt, yak is also known as the mountain ship the same way camel is called the desert ship. The people of the northern areas of Pakistan have engaged yaks in promoting tourism in the area in what is called the 'Yak Safari.' Every year tourists go to the the yak-specific areas to enjoy this unique and different safari. 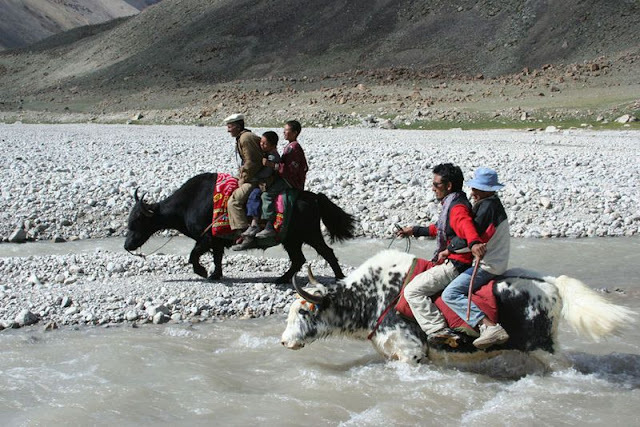 Many tour operators provide well planned tours to the northern areas, which include a daily Yak Safari to various places in the Shimshal valley.